Walter Bailey was a football star at Benson High School and the University of Washington. He had dreams of a successful NFL career. But addiction to drugs and alcohol left him with nothing. Years later, he got help that changed his life forever. PORTLAND, Ore. — Walking in downtown with Walter Bailey, you would never guess the addiction hell he’s lived through. “With addiction it goes hand and hand with mental health,” he said. But we’re getting ahead of ourselves. Bailey grew up in Portland—a gifted athlete. He helped Benson High School win a state football championship and in the 1990s played defensive back for the University of Washington Huskies. “It was an opportunity for me to release anger, frustration, and just a lot of things. Just a way for me to release my emotions,” said Bailey. He was really good. A highlight reel shows an interception against Arizona, his second during that game. He was so good his parents decorated the outside of their home with his name and jersey number, 23, and we in the media dropped by to talk with him after a big win. But off the field, alcohol and drug use that started in high school grew worse, awakening, he said, a monster inside his brain. “I had no idea what was going to come of that,” Bailey said. From 1990 through 1993 there were lots of highlights. Bailey played on three UW teams that went to the Rose Bowl. “Playing in front of 106,000 people for a very meaningful game was priceless,” said Bailey. One of those teams shared a national championship. But the party was about to end. Bailey believed he would play in the NFL, even make it to the Hall of Fame. Instead, he got cut by the New York Giants and later, in 1994, by a Canadian Football League team. “When I look back, the lights turned off, the cheering stopped. I was left with nothing. I didn’t think I could work. I didn’t think I could function in society because for 15 years of my life I had done things a certain way,” Bailey said. He was hit by what he calls a tornado of emotions. “Shame, guilt, anger, frustration, bitterness. I think the biggest thing is I had learned to keep my feelings harnessed in so I didn’t know how to feel anymore,” said Bailey. He dove deeper into the drugs and alcohol. His life spiraled out of control. “Each year began a cosmic change whether it was the drinking, or me not getting a job. Me having a child, not being able to take care of my daughter," Bailey recalled. "Also, the tornado of life came and I didn’t know how to handle it. And it was only a tornado because my only coping mechanism was to put a intoxicant in my body, whether it was a liquid, solid or gas. Because I didn’t want to feel. It was pain. A lot of pain,” he said. Bailey grew up in a large, loving family. They tried to help but he pushed them away as the addiction strengthened its grip. “It was a lot of just depression and just things of not wanting to live," he said. "I didn’t want to kill myself, but I just didn’t feel like living. Right? Because I felt like the world was against me, I felt I was dealt a horrible hand,” said Bailey. It went on for years. Sixteen years. He tried to forget the football stardom that now seemed to mock him. His low point, landed him lower than he ever imagined. “My best friend picked me up and said I only have one requirement if you’re going to stay with me. You have to call your parents and let them know you are with me,” he said. Bailey ended up on the streets. And the streets nearly kept him forever. “It was a disease that ruined the perception of my life. And so I had to be out in the street to really understand...is this the life I want?” Bailey said. In 2010, as Bailey staggered in to his late 30s, he decided it was not the life he wanted. He asked his best friend for help and ended up getting professional treatment. “I did six months of inpatient treatment at De Paul and that changed my entire life because I was able to get a cleanse from the inside out. And learn about me, learn about my behaviors and learn about the destruction that I caused myself and how that came about,” he said. The De Paul treatment center is one of Oregon’s oldest and largest addiction treatment facilities. “Being on the other side, being clean and sober, there’s a whole different life that I never knew about,” Bailey said. 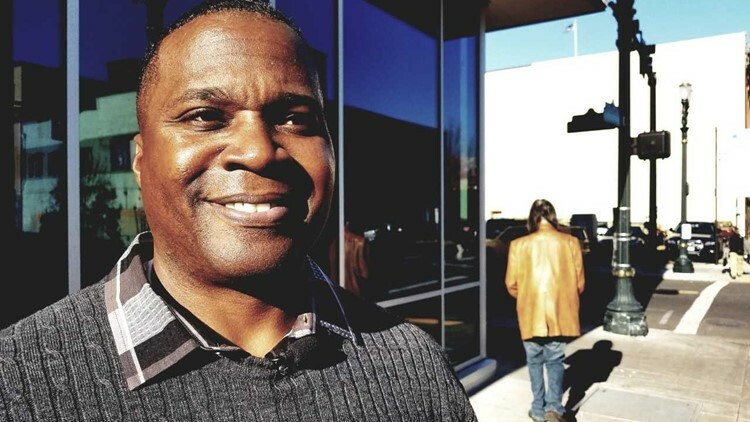 Eight years later, he’s still clean and sober, and sharing his story now to encourage others. “To find out, 'Wow, my true authentic self is amazing.' Right? Like the life I am living today is amazing because I can feel. I can understand that what my God-given abilities were to connect with people, to help people, and to let people know they can achieve anything they set their mind to,” said Bailey. He is now a counselor—helping African-Americans at the Imani Center in Portland. This Thanksgiving week, he is grateful for so many things. “I’m grateful for my life. I’m grateful for my family. I am grateful that there is hope in the world,” said Bailey. And he’s grateful that he fought through the addictions to get his life back. “I am glad I was able to get into the places that I didn’t know could help me and they did help me. And my only requirement is to give that back. And to help other people. To let them know there is a life worth living,” said Bailey.